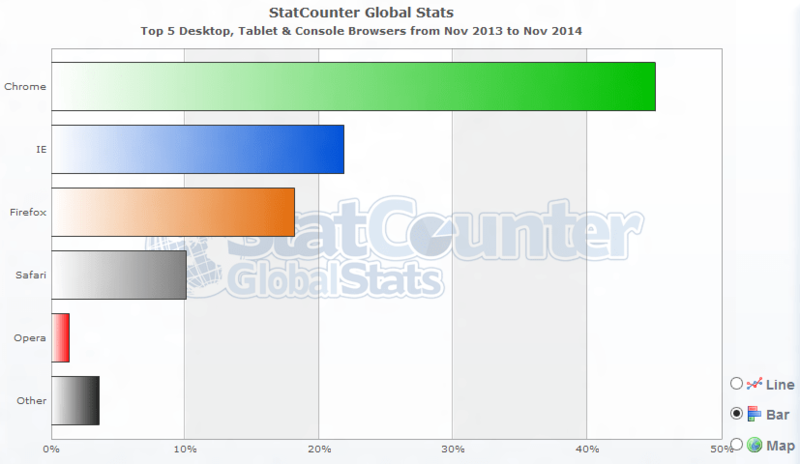 As per Research data, disclosed by StatCounter Global Stats, Chrome, the browser sponsored and developed by Google, is the leading global browser as the desktop, tablet and console browser. 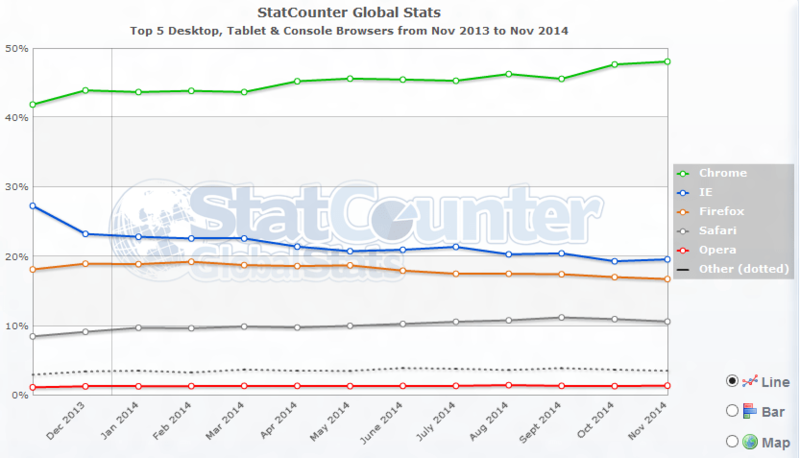 Since Nov 2013, the users of Chrome are growing rapidly, followed by the users of the Safari while the users of the Internet Explorer, Firefox and other browsers are declining. As per one more stats, Google Chrome is occupying more than 40% of the global share while share of the other growing browser, Safari, is just 10%. So, it is important to tell the Android users to use the Chrome as well. The most important thing in browsing is clearing the browsing data or the navigation history. During the normal browsing, a user surfs many such sites which she/he do not want to share with other users of the mobile device. 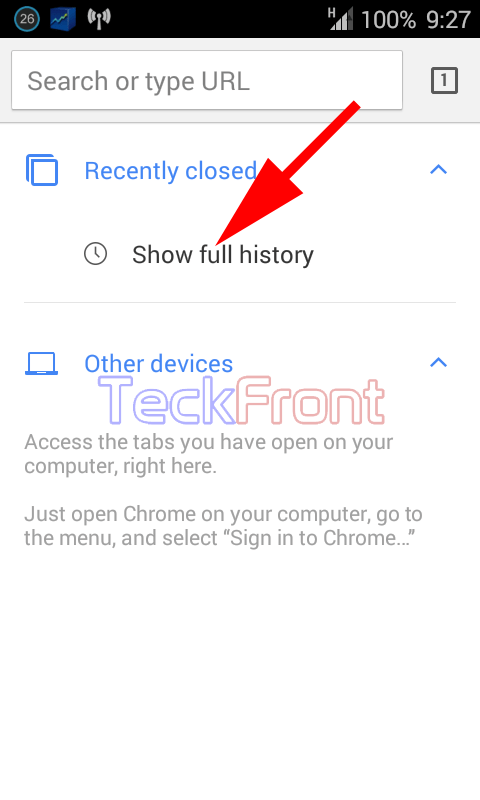 So, it is important to clear the browsing data or the navigation history in the Android phones and tables, from time to time. You may clear the browsing data or navigation history, easily, if the following instructions are followed. 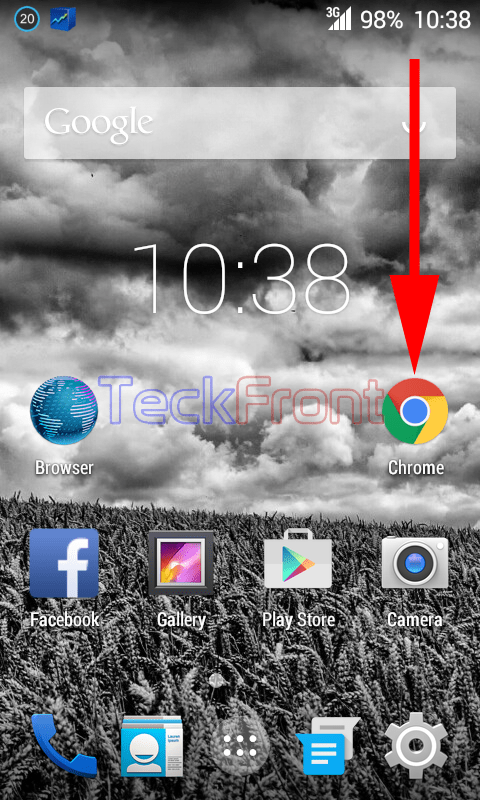 1: Tap the icon of the ‘Chrome’ at the Home screen of your Android 4.4.4 KitKat phone or tablet to open up the ‘Chrome’ app. 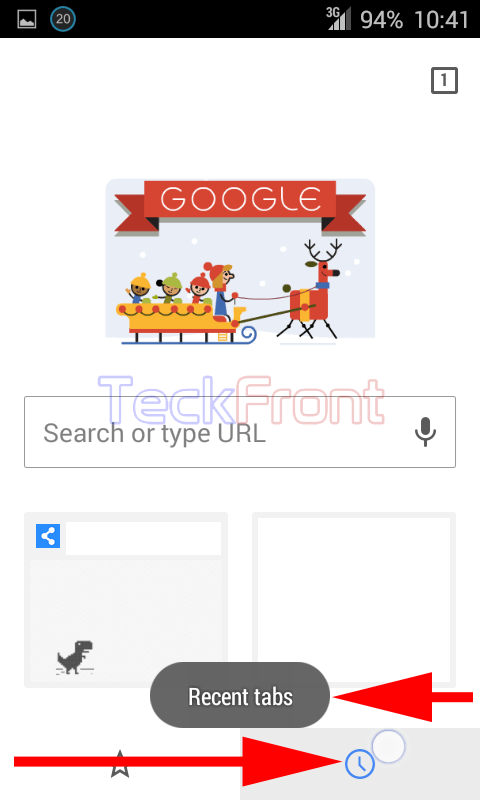 2: Tap the ‘Recent tabs’ button, on the screen of ‘Chrome’ browser, given at the bottom right corner of the screen. See its screen tip shows; ‘Recent tabs’. It will take you to the ‘Recently closed’ screen. 3: Tap ‘Show full history’. 4: At the bottom of the list of the recent history sites, see CLEAR BROWSING DATA. Simply tap it and it will open up a prompt with a list of 5 clearing history options. 5: Select the most suitable to your requirements and tap them to check. Tap the ‘Clear’ to clear the checked history options. It will take you back to the ‘History’ screen. 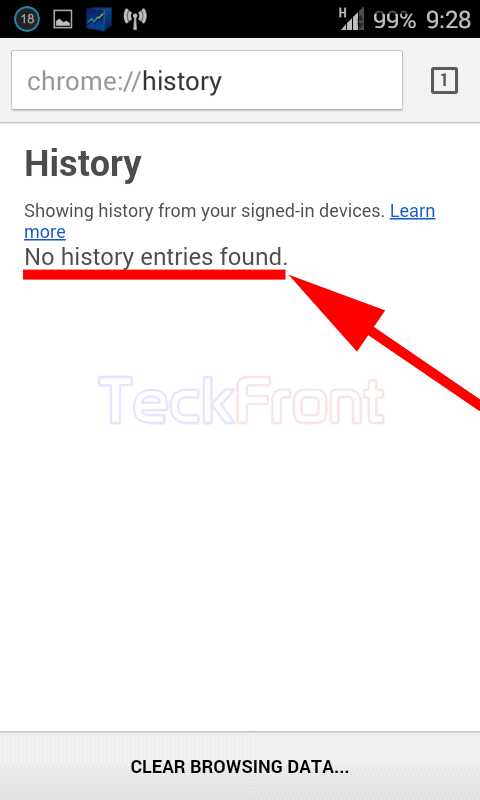 5: See the ‘No history entries found’ message is displayed on the ‘History’ screen, i.e. browsing data or the navigation history is cleared. That’s all! 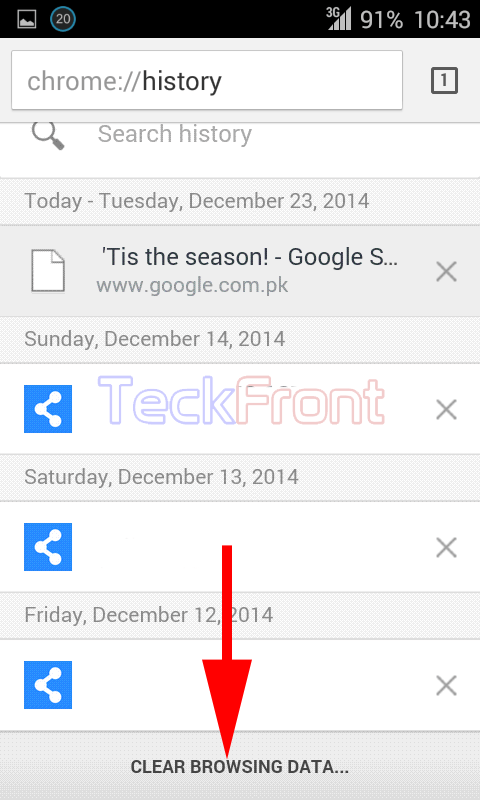 Newer How to Upload Videos on Daily Motion on Android 4.4.4 KitKat Device? Older How to Manage Apps for Best Performance in Android 4.4.4 KitKat Devices?